Sassis Resor 7-Härad offers angling and nature tourism in the Sjuhärad district located in the Västra Götaland region of western Sweden. We arrange high-quality angling, nature experiences, activities, accommodations and a reception above the norm. You are welcome to plan and book your fishing and nature experience thru and with us. You can contact Sassis Resor 7-Härad in Swedish, English or German language. Our facilities and cabins are open year-round. High season for pike is (April) May-October (November), for perch and pikeperch June - September. Certain facilities offer catering and full board. We can arrange cycling, climbing, canoeing, bow & arrow or riding at your request. And Borås is nearby for shopping! Sassis Resor 7-Härad is a member of the Swedish Ecotourism Association and was 2009 Years Cooperative Company in Sweden. In the Sjuhärad district the focus is on pike, perch and pikeperch. The guest record fish in 2010: pike (126 cm), pikeperch (96 cm) and perch (48 cm). The Sassis Resor 7-Härad agency supplies fully equipped Linder 440 fishing boats, fitted with Minkota electric motors or 4 hp/4-stroke engines, depending on size. There are mobile echo sounders, fishing equipment, float tubes and guides for hire. Together we choose the lake and the fishing methods that suits you best that day and in that weather. 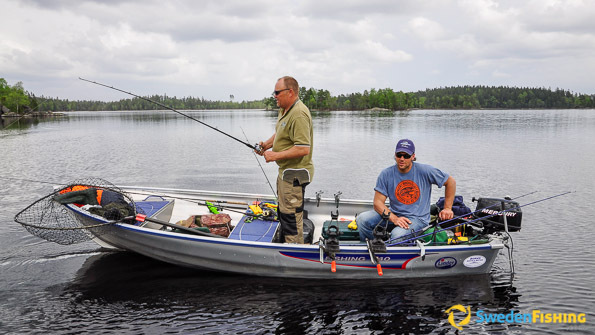 You can choose spin, jerk, trolling or float tube fishing in all our lakes. Our guides provide general information and can show you some hot spots to explore. According to Sassi Resor 7-Härads fishing policy, fishing is mainly done on a catch & release basis. 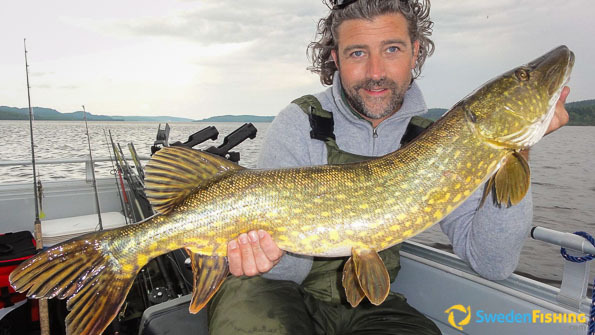 Min/max size for pike (40-90), pikeperch (55-80) and perch (max 40). Through our partners, Sassis Resor 7-Härad offers lodging alternatives for 2 to 50 persons. All our facilities are open year-round and are located close to a lake. In this way fishing and the lake are never more than 100 m away. Some of the facilities enable you to book catering and full board. For larger groups we co-operate with two conference facilities; smaller groups of 2-6 will be offered one of our well equipped cabins. All cabins are fitted with full kitchens for self-catering, shower, toilet, hot/cold water, single beds, SAT-TV, grill and garden furniture. Some even have sauna, washer and drier. 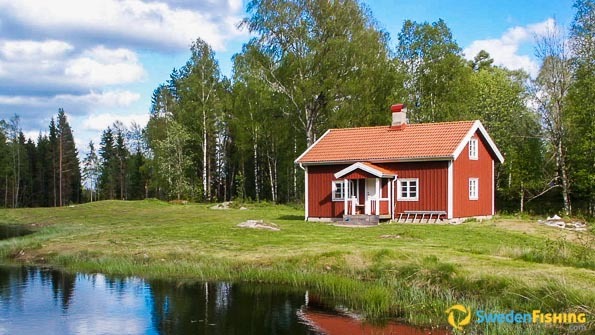 The cabin size varies from 50 to 150 m2. You will find the local travel agent Sassis Resor 7-Härad just outside Borås in Västra Götaland Province, 60 km east of Göteborg. The closest airports are Göteborg/Landvetter (GOT) and Göteborg/City (GSE). The Sjuhärad district has good public transport connections.